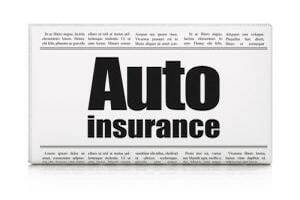 Do I need a lawyer for my California Uninsured Motorist Claim? Despite the California mandate for all drivers to have automobile insurance, some drivers fail to carry coverage. Others have only the minimum liability coverage amounts that are mandated under the law and are underinsured when the accidents in which they are involved are serious. If you are seriously injured in an accident with an uninsured or underinsured driver in Los Angeles, an experienced personal injury lawyer may help you with your underinsured or uninsured motorist claim with your own insurance company. There are some important things that you should understand about these types of coverage and why it might be important for you to have legal help with your claim. Under California law, all drivers in the state are required to purchase insurance that offers minimum liability amounts. You must carry a minimum of $`15,000 of bodily injury coverage per person up to a maximum of $30,000 if two or more people are injured. If someone is killed in an accident, the coverage amounts are the same. In addition, your liability coverage must provide a minimum of $5,000 for damage that you cause in an accident to the property of others. Because these liability limits are low, this may not be enough coverage to pay for all of the damage and losses that may be caused by an accident. As a result, California mandates that insurance companies offer uninsured and underinsured motorist coverage to people at the time that they are purchasing their policies. If you decline these additional coverage options, the insurance company must have you sign a written waiver that states that you were offered the coverage but turned it down. According to the California Department of Insurance, there are three primary types of uninsured and underinsured motorist insurance. Uninsured motorists bodily injury insurance offers coverage for you and your passengers for injuries that you suffer in an accident up to your liability limits when you are in an accident with a motorist who is not insured. Underinsured motorist coverage offers a limited amount of coverage for your injuries when you are involved in an accident with a motorist who does not have enough insurance to pay for your injuries. Finally, uninsured motorist property damage coverage pays up to $3,500 if you are in an accident with an uninsured motorist who is at fault and who is identified. There are several accident scenarios in which your UIM or UM coverage might come into play. As we previously noted, uninsured motorist coverage is important in cases in which you are struck by a driver who does not have insurance. In order to prove that the driver is uninsured, you will first need to ask the driver for his or her insurance information and then contact any company that he or she claims is the insurance company. If the company says that the driver is uninsured, you will then need to file a form SR-1 to report the accident and a form SR-19 with the Department of Motor Vehicles. If the DMV verifies that the driver is uninsured, you may then file a claim with your own insurance company. You might also have an accident that is caused by a driver who has minimum liability insurance that is not enough to pay for the medical costs that are related to your injury. In this scenario, your company would first use up the at-fault driver’s policy limits before turning to your own. For instance, if the driver who hit you had a policy with a limit of $15,000 in bodily injury coverage, and you have reasonable medical expenses that exceed that amount, you would be able to file a claim with your company for the difference up to your UIM policy limits. If you are struck by a hit-and-run driver, you are allowed to report the accident and file a claim with your insurance company. You will then be able to recover damages from your own insurance company up to the policy limits of your uninsured motorist coverage. It is important to remember that insurance companies, including your own, are driven to increase their profits and to reduce their losses. Unfortunately, many companies use tactics to try to avoid paying valid claims that are made by their own insureds. This makes it very important for you to talk to an experienced personal injury lawyer soon after your accident. It is important for you to get help from an experienced personal injury attorney soon after your accident in Los Angeles with an uninsured or underinsured driver. You should avoid making recorded statements with insurance adjusters or representatives who contact you about your accident. The purpose of asking you to make these types of statements is to try to get you to say something that the company can use against you in your claim. You should likewise avoid signing anything from the insurance company without first reviewing it with your attorney. Companies commonly ask injured victims to sign blanket medical authorizations. The companies then use blanket authorizations to search through your medical records in an effort to find an earlier condition or incident that they can blame for your injuries and symptoms. Contact a Los Angeles personal injury attorney who has experience with handling UM and UIM claims today.